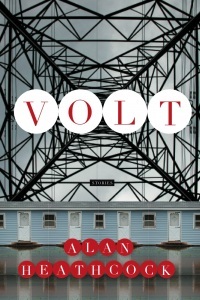 Alan Heathcock’s VOLT is a collection of stories about residents of the small, familiar-yet-imagined town of Krafton. Heathcock’s debut collection is attracting high praise: “…a writer to watch…” – Library Journal; “…impressive debut collection…” – Publishers’ Weekly; “… “beautifully unfettered, quintessentially American…” – Literary Chicago; “…shocking, illuminating and unforgettable…” – NPR. Readers of this site might remember Alan Heathcock from his contribution to View From the Keyboard. He’s the guy with the way cool VOLT-mobile. PMc: Place is clearly important to VOLT. This small town, Krafton, evolves through time and event as the stories are told. How did you, as a Chicago boy, find this place (clearly rural and likely different from the neighborhoods you knew as a kid) and know that it was the place you wanted to create on the page? And is it supposed to be a small town in any specific state or region? AH: Both of my parents are from small towns (most all of my relatives are, in fact), and though I grew up in Chicago, I was raised with small town ethics. That said, I don’t think there’s much difference between a city neighborhood and a small town. In both, everyone knows everyone, for both good and bad, and certain behaviors are expected; a certain way to dress, talk, eat, dance, worship… The difference between a small town and Hazel Crest, where I grew up, would be in the details, a cornfield instead of an empty lot, a barn instead of a warehouse. The reason I made Krafton a rural town instead of a city neighborhood was my ability then to isolate the characters from outside influences, forcing them to have to act alone, to turn inward. Also, I suppose, I had some desire to write a book that people understood was about America, and the homogeneity of a rural town would be understood from coast to coast—I’m proud of the fact that different reviewers have placed Krafton in the south, the west, the Midwest, and the Great Plains. All of them are right, of course. I never declare a region for Krafton, and intentionally left that ambiguous so people from all parts of America can claim it as their own (or, depending, recognize Krafton as a place they know, and then disown it completely). PMc: Many of your characters also become familiar to your readers as they get deeper into the book. Can you talk some about how these characters—particularly the recurring ones (Helen, Walt, Vernon, Jorgen, etc. )—came into being? As you wrote these stories, were they always the same characters? Or did you discover they were similar beings and could be the same characters with some revision? AH: At the very beginning, I was just inventing the town and its people, and there were types of characters that would eventually become the Helens and Vernons of this book. What happened was that as I invented the characters they became real. I then fell to the mercy of the truth of this place. If Helen Farraley’s the only law officer in town, then if a crime occurs she’d show up (of course). It wouldn’t be another law officer because there isn’t one. If someone needs religious counsel then the town’s pastor, Vernon Hamby, would be there. So much of writing, as I understand it, is taking the worlds I create seriously—so seriously that often the town dictates the story and its players, not me. It’s a real place. These are real people. I love this about writing, as it’s a kind of magic. If I can surrender my ego, and give the story completely over to the truth of this world and its inhabitants, then honest things will happen. Honesty (truth) is the writer’s greatest weapon. If a character has a life changing experience in one story, then, as is the truth of the world, they change, and that change must appear, must be felt, in subsequent stories. Though this is a collection of short stories, I build continuity by allowing this to always be Krafton, which allows a reader to accumulate an intimacy with place and characters that’s not usually felt in the disparate nature of most story collections. PMc: There are also a number of individual story lines carried through VOLT that gather even more weight and resonance when you put them together. How did you find this structure? And which stories were written first, next, and finally? AH: A lot of the stories were parts of two failed novels. The novels failed because of a misunderstanding I had about how to write. Back then, I thought being a literary writer meant you just created a character, put them in a place (Krafton), and followed them around. In my case, I followed them into a whole lot of nothing. 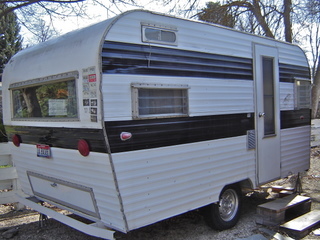 At first, I thought I was the next Walker Percy. Then I realized that whereas Percy was accumulating a kind of depth and momentum (even without a hard “plot”), I was just writing more scenes about the same people in the same place without any sense of greater movement. I was smart enough to scrap the novels, but I saw that within those discarded pages were really strong dramatic movements. Because I already had the greater context of the characters’ lives left over from the novel, I could add a few things to certain sections and they would stand alone as short stories. I then realized that all of my best parts (stories) were grinding away on the same themes. My greatest preoccupation was, and still is, that of looking at the invasive nature of violence and the tenuous nature of peace. I also found, even better, that the novel-pieces-turned-stories were hitting those same themes, but from different angles, with different insights. It was then that I saw the book had the potential of being like Sherwood Anderson’s Winesburg, Ohio, or James Joyce’s The Dubliners. I recognized that I needed a couple of new stories to fill thematic gaps (questions I hadn’t yet answered for myself). I wrote those few new stories, as stories (not scraps from novels). Finally, the incredibly smart folks at Graywolf Press helped me put these pieces in the order that now makes up the book, VOLT. Because they were parts of novels, it’s hard to say which stories were written first, though “Peacekeeper” was the first one published, followed by “The Staying Freight”, “Smoke”, and “Fort Apache”. The last stories written were “The Daughter” and “Volt”. PMc: A couple of the recurring themes or issues in the book deal with faith and the crisis of faith, as well as (at times) transcendence. Some of your characters are religious folks (albeit with their own transgressions) and you are willing to make a direct reference to God now and again. How and why did you make these choices? Why does this sort of character and this type of writing interest you at this point in your writing life? AH: Big questions. I could write pages on these questions. Here’s a couple glancing thoughts. A few years ago, in Boise, Idaho, where I live, the local government decided they couldn’t have a Ten Commandments monument in a public park. Idaho being a very conservative state, there was much outrage over this decision, and as a show of support for the monument many folks put signs in their yards that quoted the Ten Commandments. Years later, a lot of those signs are still in yards. One yard in particular always catches my attention because it’s on the route of my daily run, and because it has two signs, one with the Ten Commandments, and the other that reads “FREEDOM IS NOT FREE. SUPPORT OUR TROOPS”. I don’t quite know what to make of this tension, one sign that clearly says “VI. Thou shall not kill” while the other implying that, in times of war, we must kill. This tension is not new to me, and is not exclusive to Idaho, or even the United States. But, as a moral being, this tension rages in me more than any other. I don’t look at Christianity as a political movement, and I have no desire whatsoever to make a political statement here. In my mind, this has nothing to do with conservatives versus liberals. I have many friends and relatives who are/were soldiers and I’m very proud of them, and thankful for what they do. That said, and perhaps because I feel that way, I’m stuck in a deep moral quandary. I can’t make sense of it for myself. Even now, after having written a book in which I asked these questions over and over, I’m not sure how to feel. I just read Tolstoy’s take on Christ’s telling us to “resist not evil” as a call to do just that—to not fight evil. A lot of what he discusses makes sense to me intellectually, and yet I struggle to rectify his insights with what I see in the world. Preachers and soldiers hang plentiful throughout my family tree, and I tend to be a serious and reverent individual, with a temperament that would lend itself to both the ministry and warfare. As a younger man, I thought long and hard about becoming a preacher, as well as joining the military. I write to make sense of the world for myself, to try and enact order on what too often feels unhinged. I tend to force the tension of the two yard-signs, God’s laws versus man’s laws, into my stories. I force myself to be the soldier, and to be the preacher (quite literally in the case of my book) to see what insights might be revealed about the world, about myself. I have noticed that not many contemporary literary writers take on religion (especially Christianity) in any earnest way, which seems odd to me only because we live in the world that is largely ruled by the tension between the religious and the secular. Finally, if someone writes about rural America without any mention of religion, they’ve experienced a different town than the ones I’ve known. It’s not up to me as an author to decide if people use religion as a means to heal from grief and/or make sense of their lives, but only to abide the truth that they do. I’ve seen religion, at its best, work in the lives of individuals, enabling them to transcend hardship and grief, and not in any shallow Chicken-Soup For The Soul way, but in deep life-altering way. I’ve seen religion at its worst, too, but that’s a different discussion for a different time. I’m also fascinated by the story of Christ’s march to the cross, his resurrection, because I find the story told so often to the cliché center, the Bible-school version and not much more. I just feel there’s more to it than that Christ died for the sins of Christians. What I find so interesting are some of the human truths involved. I think of how lonesome Jesus must have felt carrying that cross all alone through the streets. Why had he worked so hard? Had he not spoken the truth? Of course, he called out on the cross that God had forsaken him. And then he went off into the tomb. In a church I attended for years, every week we read a section of scripture about Christ’s resurrection. There’s one line that says while in the tomb Jesus descended into Hell to later return to earth. For me, that was a big realization. Christ descended into Hell and then came back for the rock to be rolled away. I find this story to work as a perfect metaphor for how people overcome tragedy. The loneliness of carrying the cross, the forsaken feeling of being crucified, the time spent in the dark tomb, the descent into Hell, and then the fact that we have to face the sunlight, and get to go live so more. I just feel this is a profound truth, one not written about or even discussed (not ever in my experience), yet one vitally applicable to the greater human condition. PMc: These stories seem to be part of a long literary tradition that includes authors like Flannery O’Connor, William Faulkner, Katherine Anne Porter, John Steinbeck—writers who value the lonely and the misfit characters as well as the American landscape in its splendor and potential for danger and devastation. Were you influenced by any of these writers? Whose work do you consider influential to your own? AH: Thank you. I’m very happy to be in the gothic tradition with the authors you noted, as all of them are huge influences on my work. I’m kind of an old soul, and find that most of my influences are dead writers, including (besides those you mentioned) Hemingway (especially his stories featuring Nick Adams), James Joyce (especially The Dubliners), Sherwood Anderson, Albert Camus, Carson McCullers, Ralph Ellison, Truman Capote, and Harper Lee (to name a few). From contemporary writers there’s Rick Bass, Richard Bausch, Richard Ford, Daniel Woodrell, Dan Chaon, Chris Offutt, Tony Earley, and Joyce Carol Oates. My work is influenced by the playwrights Edward Albee, Harold Pinter, and Horton Foote, and filmmakers like Joel and Ethan Coen, Michael Haneke, Michaelangelo Antonioni, and Francis Ford Coppola. But really I have two main influences. One is Cormac McCarthy, whose books in style and substance resonate with me deeper and longer than anything else I’ve ever read. I think The Road is a perfect book. Second is Ingmar Bergman, whose films are often savage and raw, always beautiful, are like instruction manuals on human frailty and motivation. I admired his film Winter Light so much that I literally wrote down every word of dialog in my notebook. PMc: Let’s talk about structure and artistic choices a bit more. You begin VOLT with the accidental death of a child through the (somewhat unavoidable) fault of a parent. My collection, THE TEMPLE OF AIR, also starts with the accidental death of a child at the hands of a parent. I have received a bit of resistance to this story; some readers tell me they have skipped it and gone on to the next because they couldn’t face the brutality right off. In fact, one book designer was unwilling to work on my cover because of the way the book started. Did you consider that you might be challenging some audiences with this beginning? Have you gotten any feedback or blowback from it? He whirled to see what he’d plowed, and back there lay a boy like something fallen from the sky. AH: My editors at Graywolf decided that would be the first story, and I agreed. And I have heard a little resistance, people who read the first page and can’t go on. I’ve thought a lot about this over the past few months. I know certain populations find my work, in general, too intense, and that story in particular difficult (impossible for some). Should I change, do something different in my next book? Would certain book clubs love me more? I’m really not a big macho-man, tough-guy, who writes these terrible things with a sneer and a cackle. My extended family (on both my mother’s and father’s sides), have faced terrible tragedies that include the death of children. I won’t go into detail here, but I’ve seen the incredible damage events like these have caused. So…this stuff is a part of me. It’s in my blood and marrow. There’s even a part of me that wishes I didn’t have to face the stories myself. It was excruciating to empathetically write the pain through which I put my characters. Many days, especially writing “The Staying Freight” (the story you reference), I sat at my desk crying and crying. So I’m not going to begin to try and soft-peddle what I’ve written, and I’m not going to play used-car salesman, either, trying to make people believe it’s something that it’s not just so they’ll buy the book. It is what it is. I wrote all of these stories because of stuff inside me that won’t go away. I’m the happiest man on earth, in part, because on a daily basis I take time to look directly at the things that scare and confound me. I believe the highest purpose of literature is to allow us to look directly at ourselves, though in a way that’s bearable. If I’m haunted, I at least understand why the ghouls appear each night, and I am not afraid. All this said, I’ve been bolstered by what these stories have done out in the world. A woman in Oregon said she drove an hour and a half to come meet me because she’d recently lost one of her children and upon reading “The Staying Freight” was able to face some of her own grief. I’ve done several book clubs where the ladies are demure while in the group, but later, separately, a woman will come sit beside me and quietly tell me about something they’ve seen, something that’s happened to them. Something similar has happened at just about every reading or event I’ve done. I feel it’s a tremendous privilege, this powerful intimacy granted to me, and all because too often these kinds of stories are tossed aside as inappropriate or unseemly. I always thank people who share their tragic stories. It’s such a powerful interaction, a liberation of fear and/or shame. I tear-up a little just thinking about it. So, yes, this stuff is difficult, but it’s real. It’s a part of our world. The only thing I can promise is that I’m not writing with such intensity, about such awful things, because I’m trying to entertain you, or myself. I take this stuff seriously, and use all my abilities, all my hard won sensitivities, to search for any available light in the darkness, for any insights to be gleaned, and to imbue my work, despite its subject, with truth and beauty. PMc: Why did you choose the short story as your format to consider these ideas, Alan? The short story can be a tough row to hoe in this marketplace. Was it difficult to find a home for the collection? So far response to VOLT has been very good—and rightfully so. Why do you think some collections make it and others don’t? AH: Everywhere I’ve gone I’ve heard that no one will publish stories, that stories don’t sell, and so forth and so on… Yet my case is different. We sent the manuscript to one publisher, our top choice (Graywolf Press), and they took it. Though the book isn’t on the New York Times Bestseller list, it’s been on smaller bestseller lists, and though VOLT has only been out a couple of months it’s already in its third printing. I see that there are more writing programs than ever, more literary magazines, more people trying to write and publish short stories. Because of this I feel story collections should be able to compete in the marketplace. So why did my book thread the needle? It’s not a question I can fully answer here, because I feel it’s a complex answer and has to do with the stories themselves, the talents of my publisher, timing, luck, and a myriad of fortuitous bounces I’ve made for myself. In a general sense I’ll say that too often I read collections of stories that don’t feel like a book. They’re a grouping of random stories slapped between covers. There isn’t a greater reward, an accumulation, from reading all of the stories. This is a major problem. As much as creative writing programs discuss individual stories, I don’t know if I’ve ever heard an extended conversation, in a classroom, about how to build a story collection. I’ve noticed that the collections that seem to make the cut in the marketplace are, individually, powerful books. Books, not just stories. One thing I’d love to do for the world of writing programs would be to draw such intense emphasis away from the individual story, and put more emphasis on the book. PMc: And what books are you reading now? AH: I’m reading Touch by Alexi Zentner, which reads like a Marilyn Robinson novel, but with ghosts and monsters. I’m also reading American Masculine by Shann Ray, a rugged and amazing collection of heart-stomping stories. Finally, I just started The End of California by Steve Yarbrough, which, early on, is totally cooking with gas. PMc: Would you mind sharing with us what you are now working on in the VOLT-mobile? AH: I’m working on a novel, about another Great Flood (a la Noah), and a family floating around in the house-turned-arc, trying to survive a war over the world’s last remaining mountain peaks. PMc: Alan Heathcock, thank you for spending time talking about writing with me. I look forward to reading more from you.